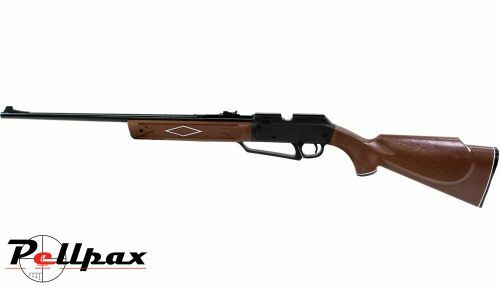 The Powerline 880 from Daisy is ideal for young shooters and makes a great gift for the inexperienced looking to get into a shooting hobby. The rifled barrel of the 880 ensures great accuracy and the underlever action ensures maximum control and also eliminates the need for purchasing extra gas canisters or bottles. The rifle is light weight and synthetic and is easy to shoulder for shooters of all sizes. - Barrel Length : 21.0"
- Overall Length : 37.6"